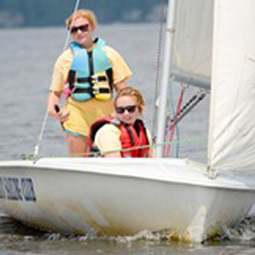 Little Washington Sailing School is a 501 c3 non-profit in its 10th year of teaching young people how to sail on the beautiful Washington Waterfront. 20 students sail on six Vanguard 420’s and eight Optimist Prams. Our sponsors allow us to continue teaching the joys of sailing to young people. Online registration makes it simple! Register today and set sail! 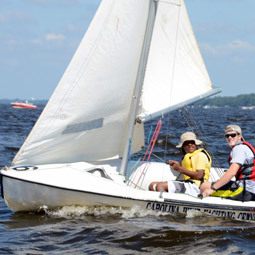 The Little Washington Sailing School is made up of dedicated sailing enthusiasts, who have created a Sailing School for the youth of the Washington, NC area. The school has six 14ft Vanguard 420 sailboats and eight Optimist Prams, ensuring kids get matched to the right sized boat. The program promotes self-reliance, awareness of safety, sportsmanship, teamwork, self-confidence and respect for others. The curriculum introduces seamanship and the fundamentals of sailing for beginners, US Sailing instructional format is used. Students are encouraged to help each other with rigging, launching, retrieval and maintenance of boats and equipment. The instructors are U.S. Sailing Association certified and a volunteer member of the school is often present. We encourage you to support this program. Consider sponsoring a youth, donations to LWSS are tax deductible. 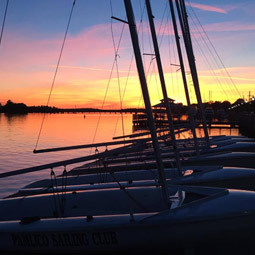 Your support will help give children experience of a lifetime enjoying the beautiful waters of the Pamlico River while learning the responsibility of commanding a sailboat. ADULT SAILING: Click Here to Register! 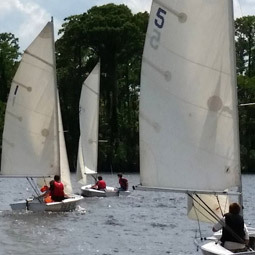 YOUTH SAILING: Click Here to Register! Copyright 2018 Little Washington Sailing School, All rights reserved.